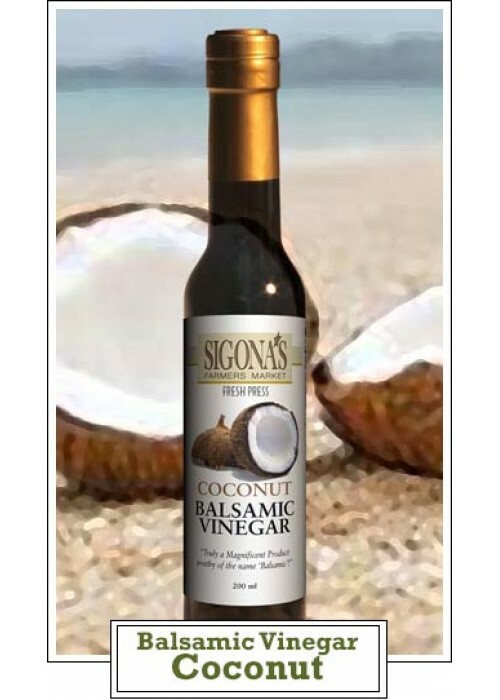 Our Coconut White Balsamic is a delightful infusion of Ultra Premium White Balsamic, and creamy smooth coconut. It’s perfectly sweet, pleasingly tart and redolent with the clean, rich flavor of coconut. It makes a fantastic dressing or marinade, plash onto fruit salad, or enjoy in a cocktail. Use with shrimp and fish, or chicken for a tropical flare! It’s also divine paired with our Persian Lime, Onion & Cilantro Olive Oils or Toasted Sesame Oil.